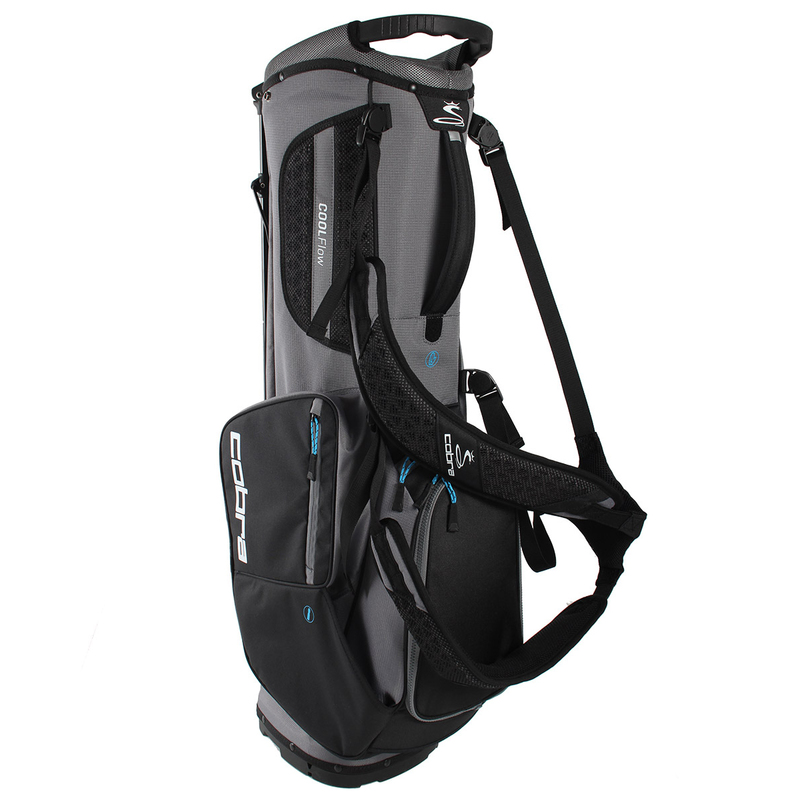 This F8 carry bag is lightweight and comfortable, and is ideal for transporting your golf gear on the golf course. 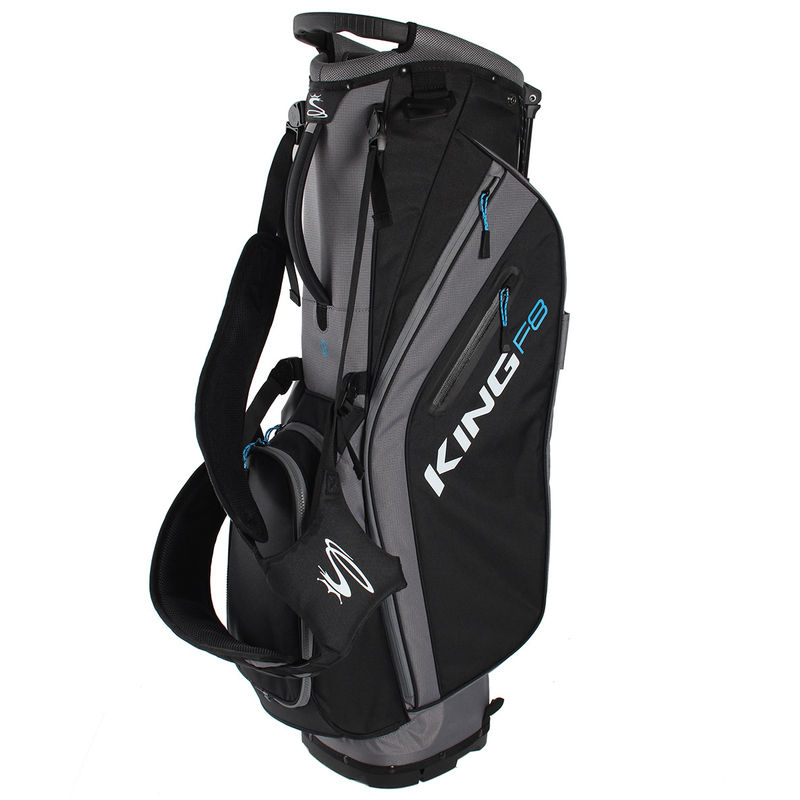 Constructed from a durable polyester material, with quick release shoulder straps and COOLFLOW foam hip pad to give you maximum comfort while carrying your golf equipment. 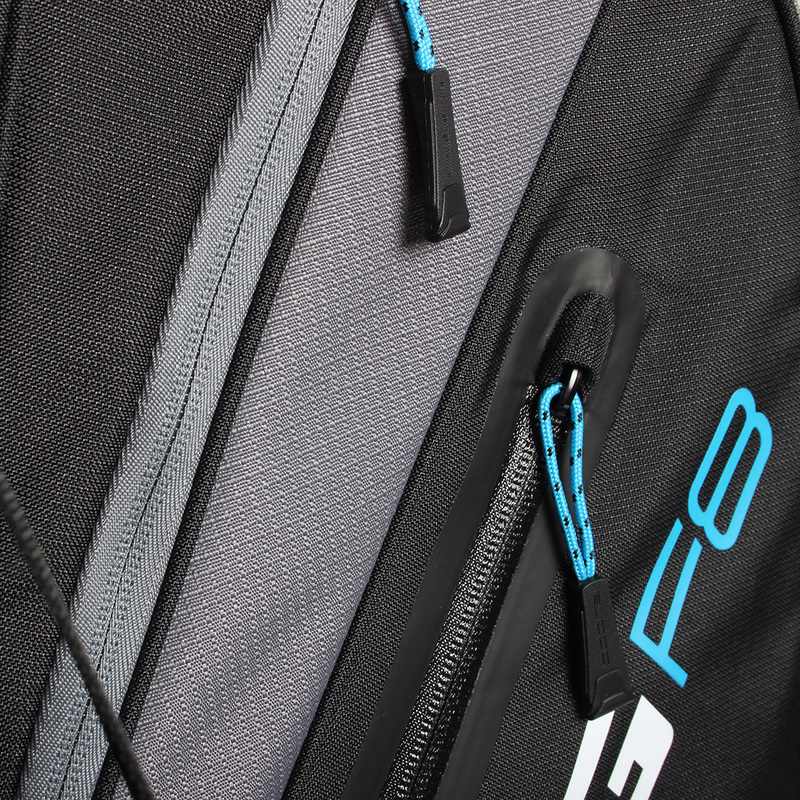 The bag also comes equipped with 7 pockets in total, this includes an oversized apparel pocket with key clip, fleece lined valuables pocket, insulated beverage pocket. 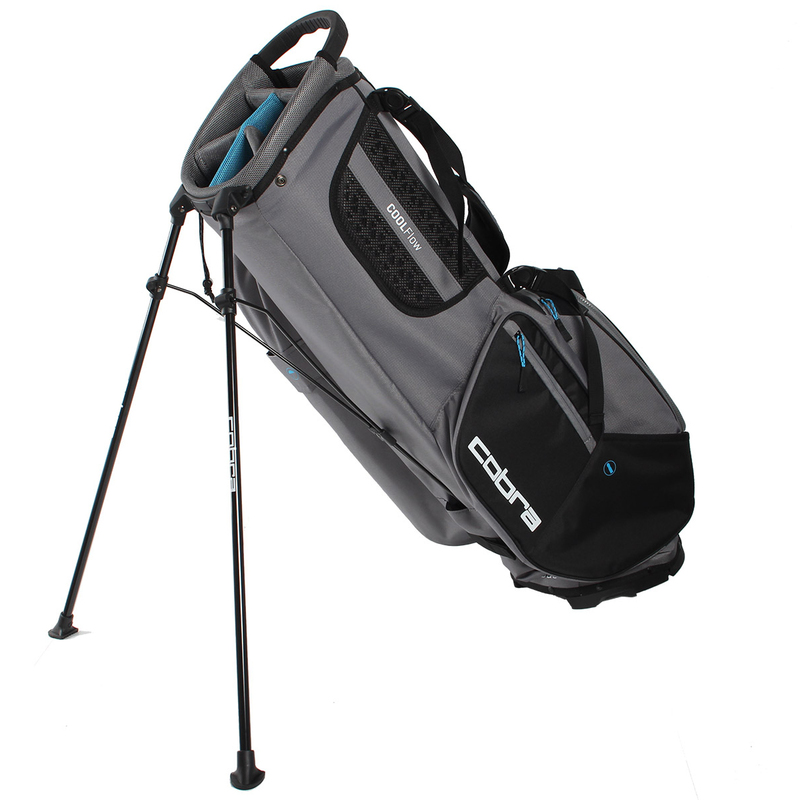 To organise your clubs the bag has a 5-way top with full length club dividers, plus features a built-in lift assist handle for short distance carrying to and from your transportation. 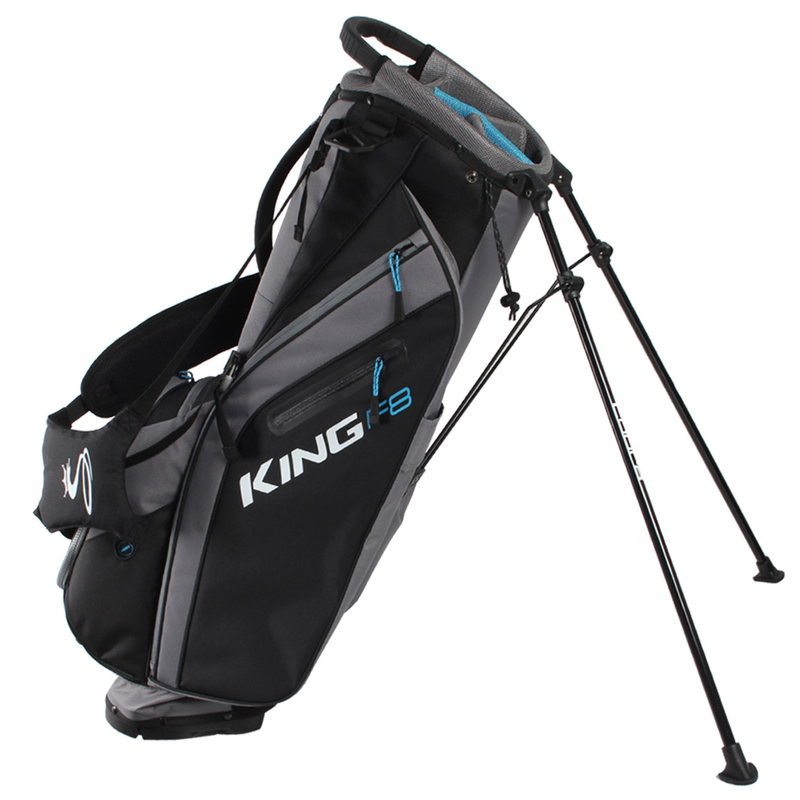 For added ease of use the bag comes with an automatic stand system, with EasyFlex base for a more stable ground contract. 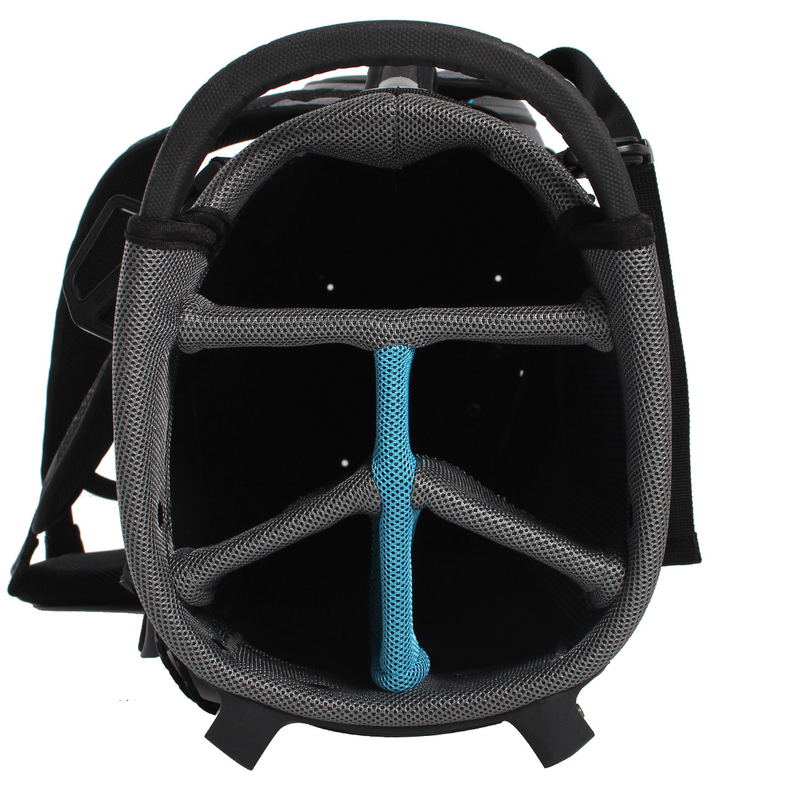 The bag comes complete with matching rain hood, and has a logo ready ball pocket. Weight 4.5 lbs.